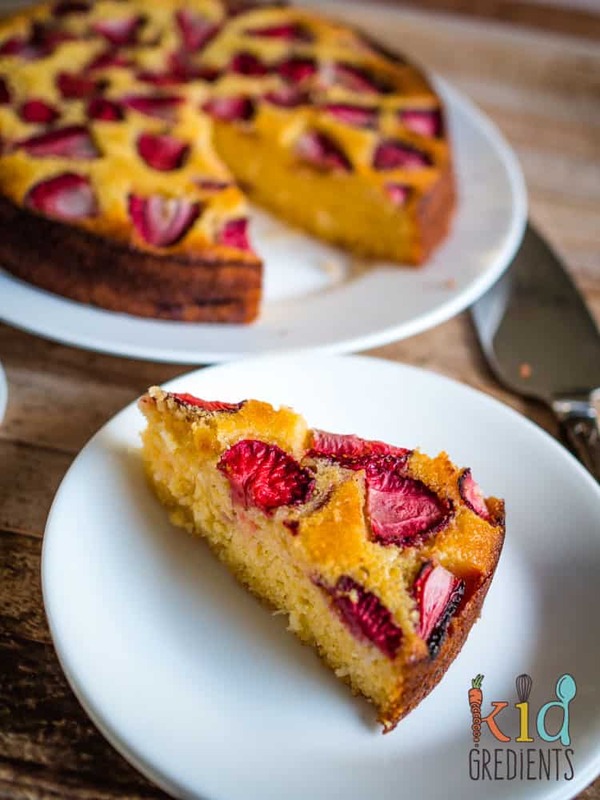 I first made this Strawberry and lemon polenta cake in March 2015. That’s three and a half years ago. I thought I would remake it today as a reminder to people to BUY strawberries. They are delicious, in season and super cheap. And right now, we need to buy them as we can’t let the strawberry farmers suffer any more- or next season there won’t be any strawberries! The photos on this post made me feel a mix of shame and pride. Shame because they were so bad and pride because this recipe is just as delicious as it was 3.5 years ago. 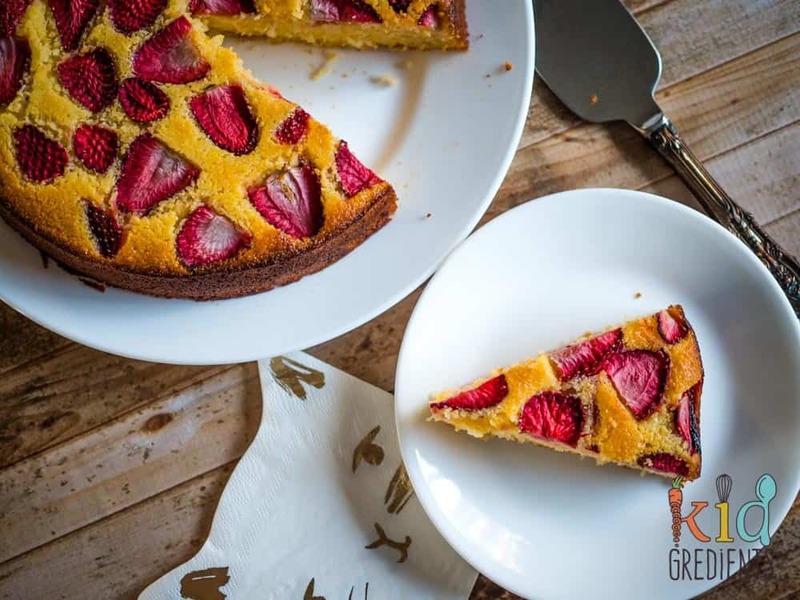 Make this cake this week and help out the strawberry farmers! You could even make it three times and freeze the cake. Every now and then I make a cake that I cut up and go “wow”. This was one of those. It was moist, yummy and just lightly lemony. All the things you need your cake to be. I’m particularly proud that this was good enough to go to school in another kids lunch box the next day (i.e a child not my own!). 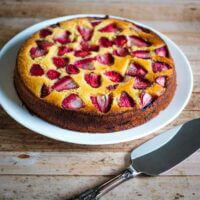 Strawberries are in season here but if you want to replace with something else in season, feel free. I think orange slices could work well, or even pear or apple. I recommend using a springform tin for this, it will make removing the cake from the tin much easier. If you don’t have a springform, I would suggest lining a cake tin and leaving enough baking paper to use as handles to remove the cake. Don’t be afraid of this one because of the polenta. My first ever experience of a cake containing polenta was dry, not unlike a mouthful of sand. But this one pulls out all the stops and certainly doesn’t resemble sand! 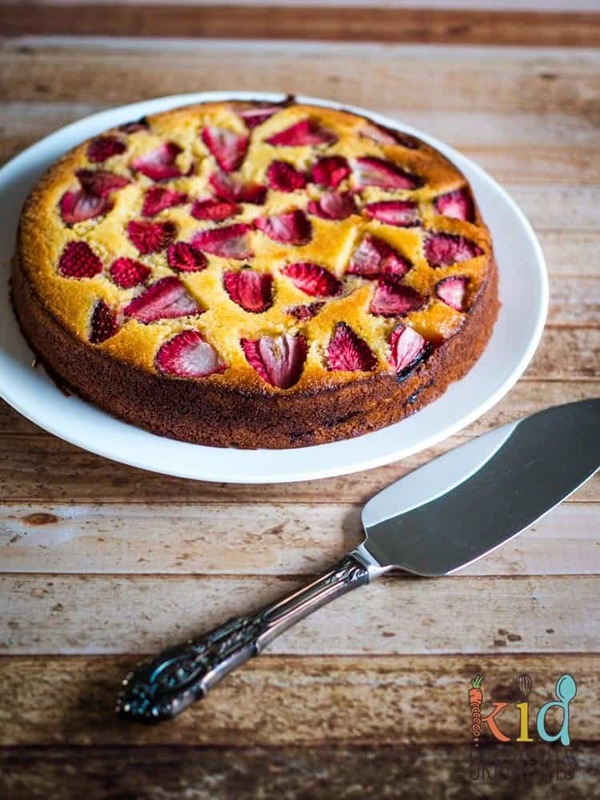 Need more strawberry ideas? 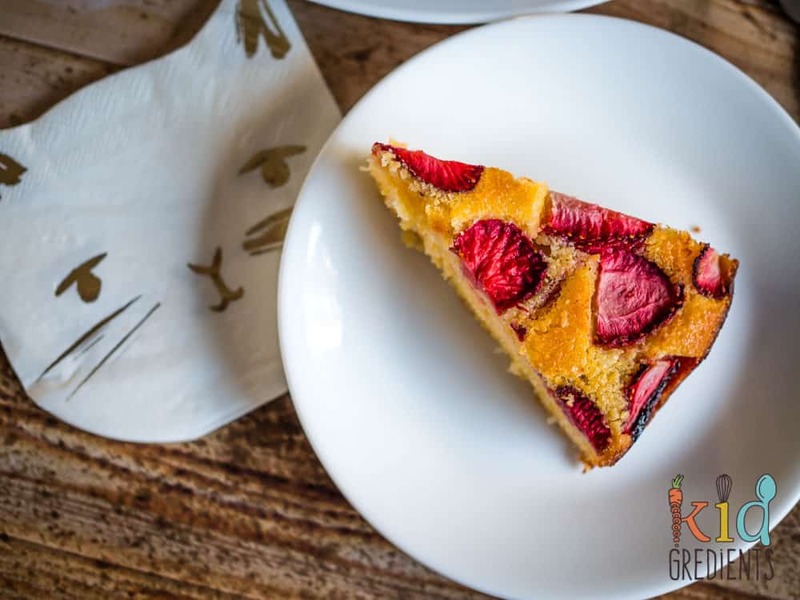 Try this fruit leather- you don’t even need a dehydrator, or try making our strawberry chia seed jam! Grease a 20cm springform (I used my profiline pushpan and didn't need to grease) and line the base with baking paper. Cream the butter, coconut oil and sugar in an electric mixer until creamy. Add the lemon juice and zest and continue to mix. Add the flour, polenta, shredded coconut and yoghurt, beating for 30 seconds to combine. Fold 1/3 of the strawberries through the mix. 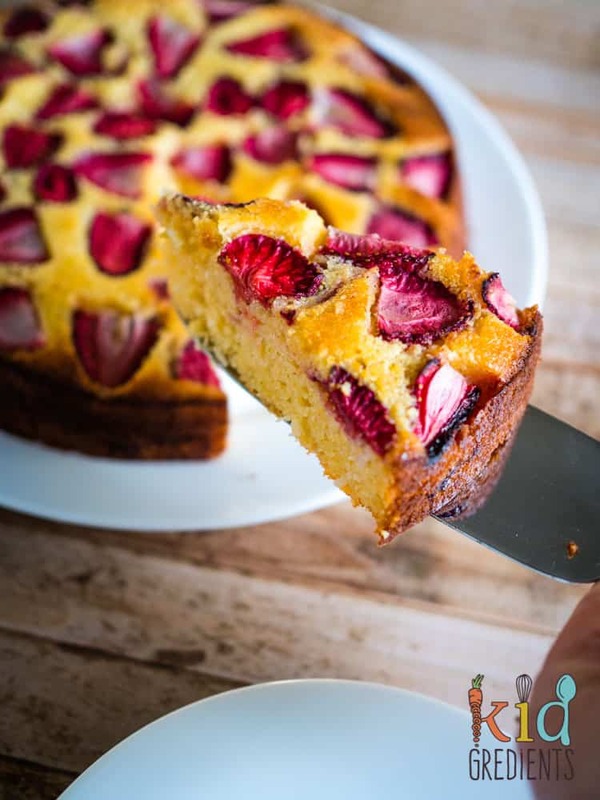 Put the mix into the cake pan and scatter the top with the remaining strawberries. Bake for 40 minutes or until the edges are golden and the centre is just set. Cool in the cake pan for 30 minutes before removing carefully. 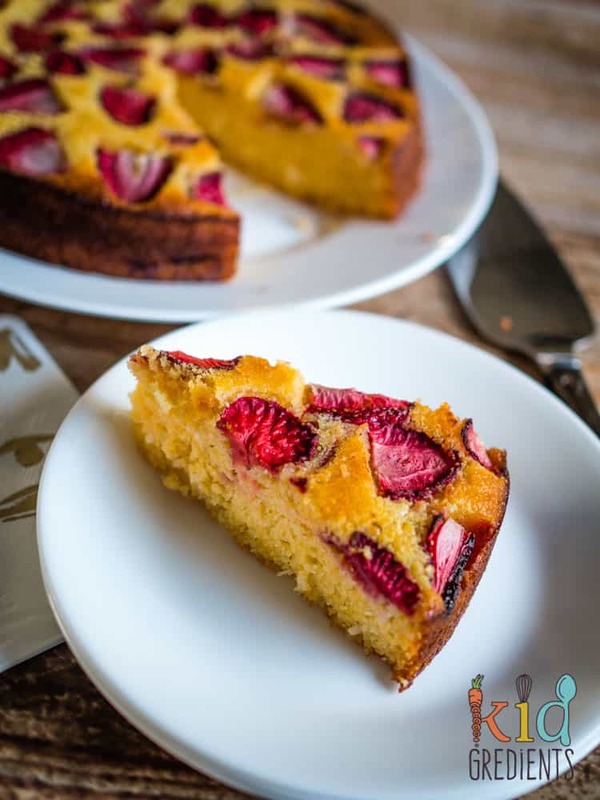 I’ve never made a polenta cake before but this looks fantastic, those strawberries are like jewels set against the golden cake. 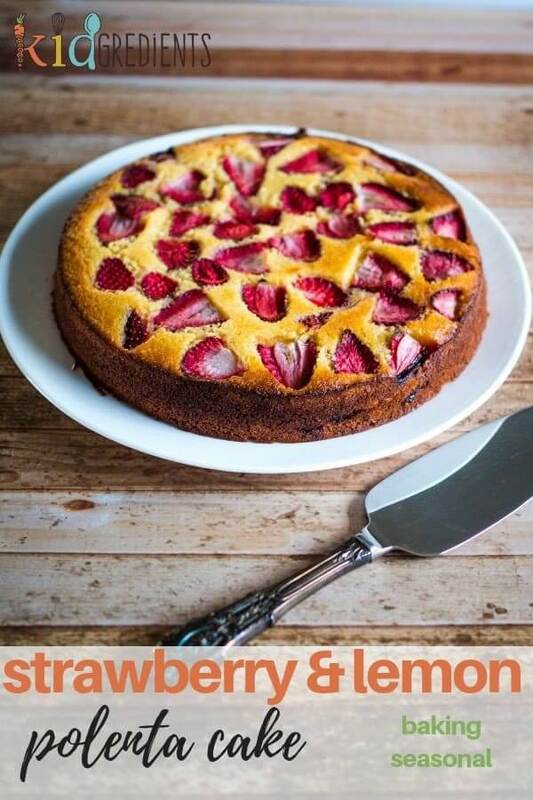 Thanks Brian, it’s a really interesting twist on usual boring cake! Kylie, you and me need to sit down with a pot of tea and this bloody awesome looking cake!! It is pretty and sounds delicious. Yes, I think it is a good idea too to make 3 and support the farmers, good thinking! Wow! What an awesome load of deliciousness. 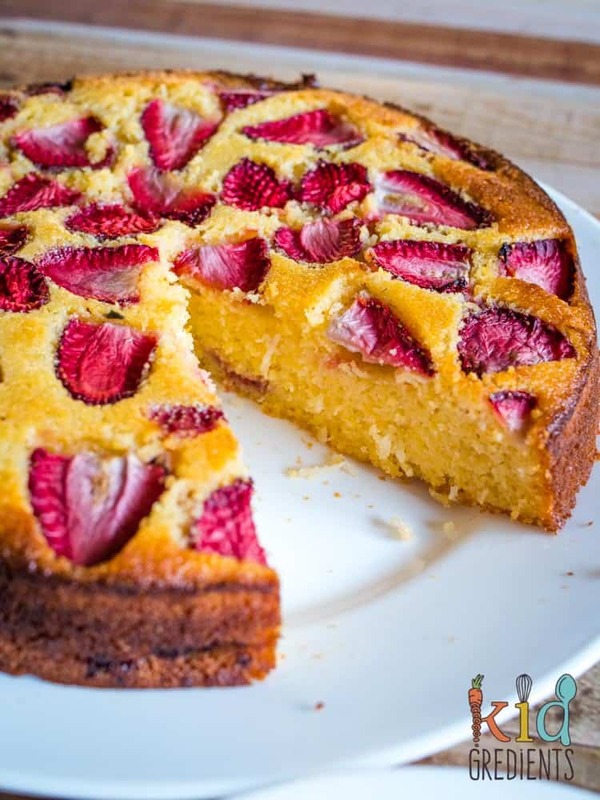 I am totally drooling over this polenta cake. Thanks Fareeha, it’s a favourite around here! What a wonderful cake and guess what? 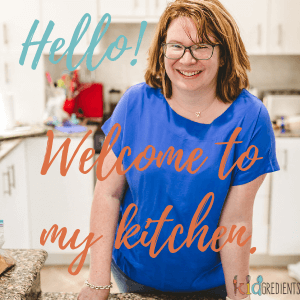 I have all the ingredients! I have only used polenta to make cornbread, so this is going to be a treat for us. 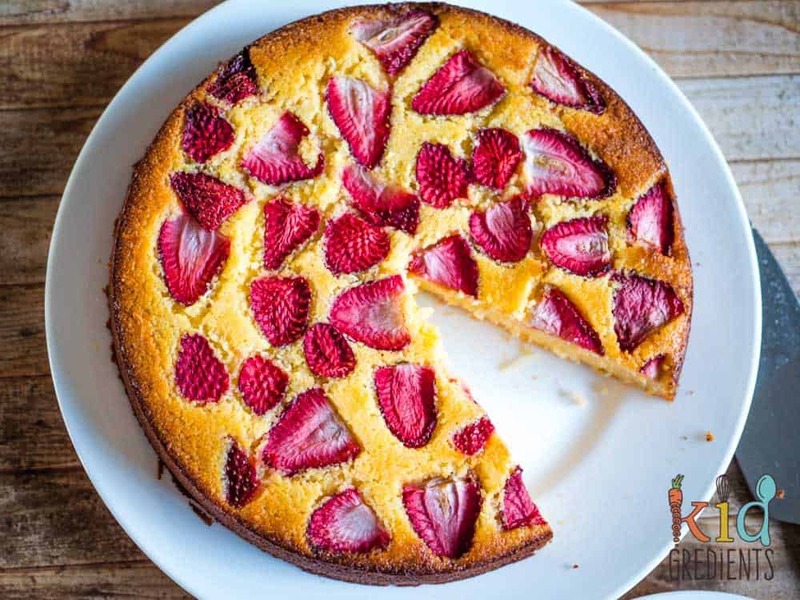 I love the strawberry topping. Perfect with a cup of tea. I had never made cornbread until recently and I was surprised by how well it goes with smoked meats and slaw! Thanks Melinda! Have you made it yet?